Read and interpret hieroglyphs as you learn about the intriguing world of the Ancient Egyptians. 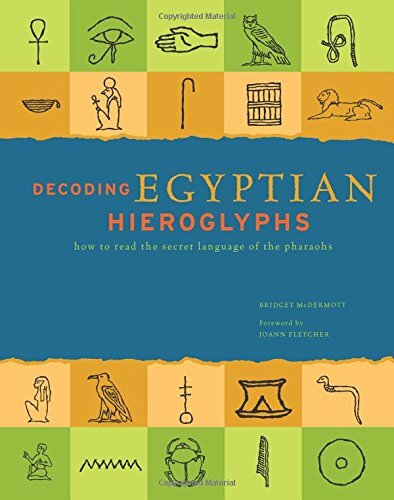 Decoding Egyptian Hieroglyphs interweaves a clear guide to deciphering this elegant picture language with vivid depictions of its origins and the people themselves. From farmers to pharaohs, uncover the beauty and mystery of the land that was Ancient Egypt.